Next, approximate how the company you’re trying to determine a valuation for stacks up in each of those parameters against similar startups. 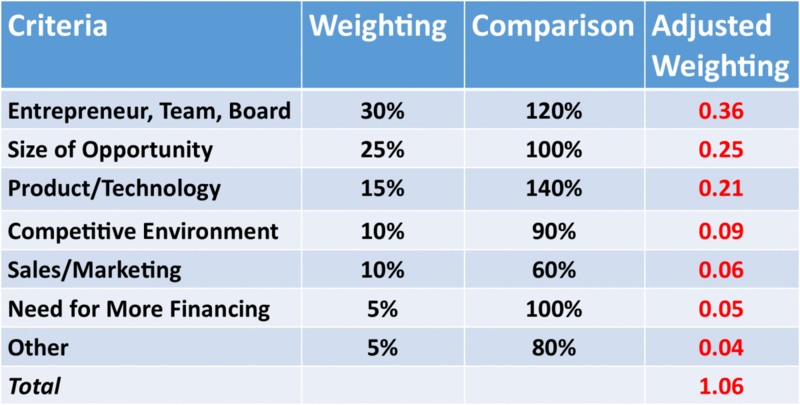 If you think the management of the target startup is 20 percent stronger than the other similar companies, for example, then use the number 120 percent in the comparison column for the parameter. Do the same for the other criteria. When you are finished, multiply the two numbers in the row and post that number in an adjusted weighting column.